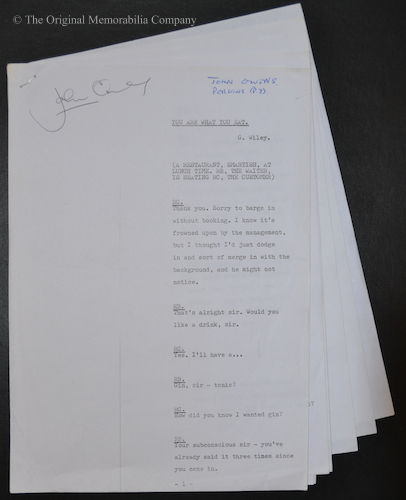 This is John Owen's personal 7 page script written under Ronnie Barker's pseudonym G. Wiley G Wiley is clearly typed on the front cover. 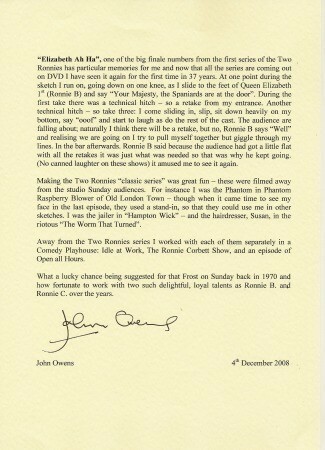 Mr Owens has also signed the script. 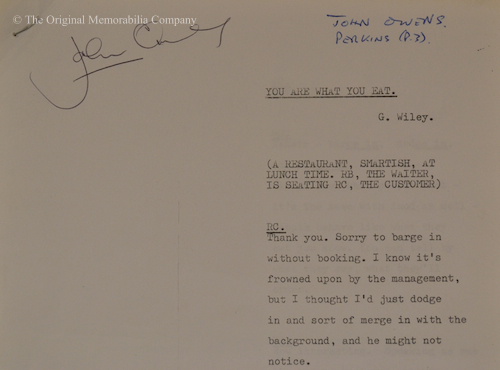 John Owens appeared in the sketch along side The Two Ronnies and 7 other cast members, playing the part of 'Perkins'. 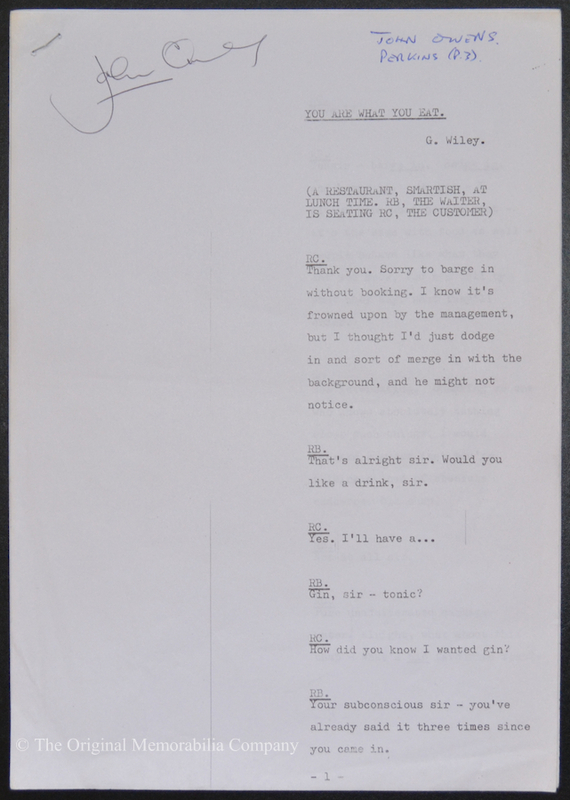 Perkins asks Ronnie Barker, who is playing the role of a waiter for 'cigarettes from the Baaar'. 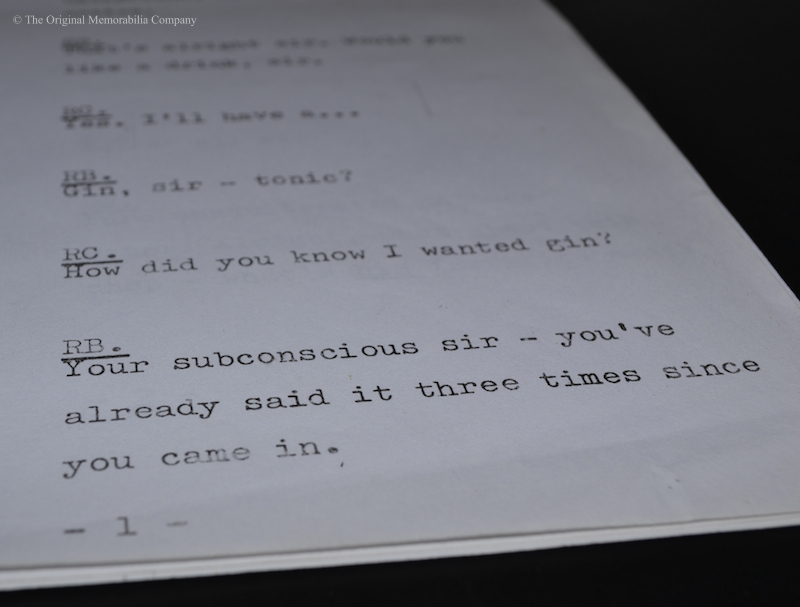 To which Barker replies 'From the where sir?'. 'From the Baaaar' Perkins exclaims. John first worked with both Ronnie Barker and Ronnie Corbett on the Frost Report in 1970 and went on to appear in every series of the Two Ronnnies apart from one. Among his various roles John was 'The Phantom Raspberry Blower of old London Town'. 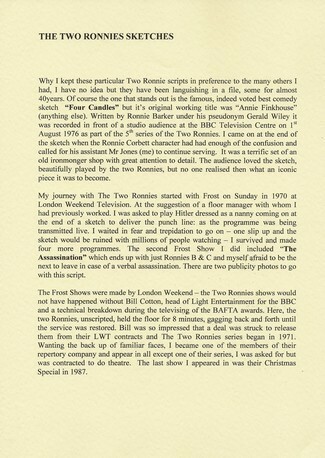 To accompany this sale John has written a very interesting 2 page letter that talks fondly of his experiences on The Two Ronnies up to 1987 and his part in the iconic 'Fork Handles' sketch. 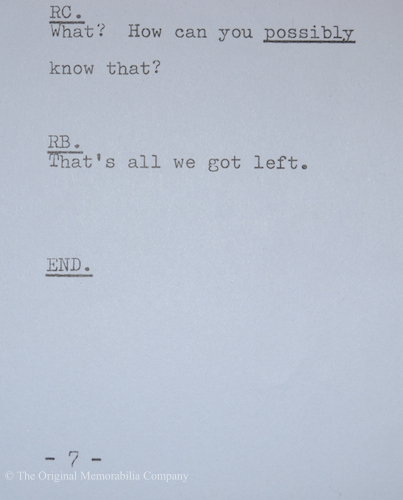 A copy of this letter will be provided with this 36 year old script. 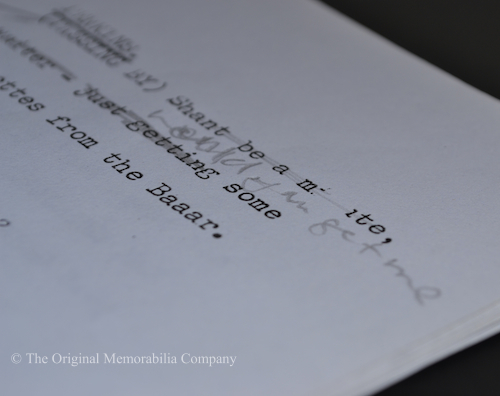 This is John's own 'one of a kind' personal script. Condition of this item is excellent. It shows signs of age and has minor creasing. 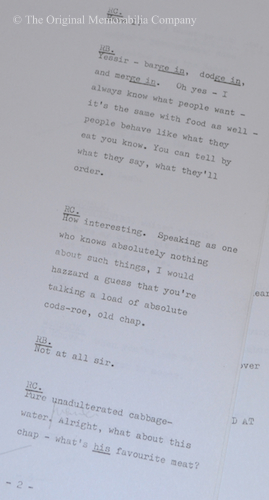 Some small notations have been made, presumably by the production team who have edited in pencil the lines that John Owens was required to say. In our opinion this piece would look fantastic framed as 7 individual pages. Details of archival framing options on request.